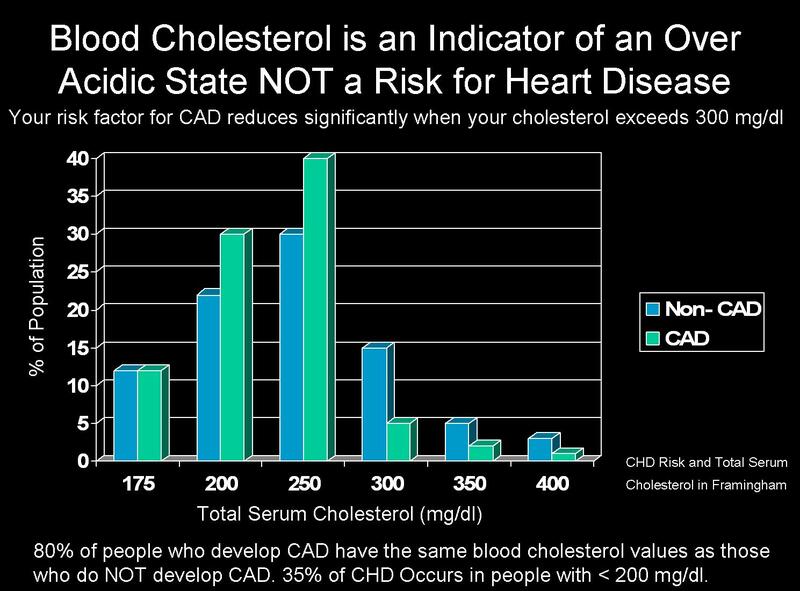 Cholesterol Lowering Drugs Cause Heart Attacks, Strokes and Diabetes! 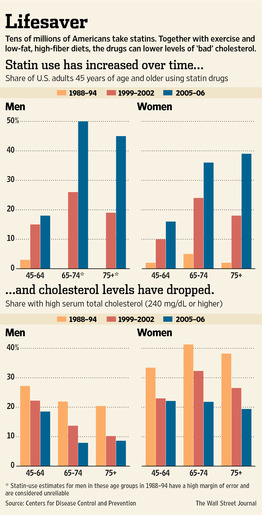 The FDA raised safety concerns about the popular class of cholesterol-fighting drugs. The drugs have been taken for years by tens of millions of people and include brand names such as Lipitor and Crestor. Ron Winslow reports on the News Hub. Photo: Getty Images. The Food and Drug Administration warned that patients taking cholesterol-fighting statins face a small increase in the risk of higher blood-sugar levels and of being diagnosed with diabetes, raising concerns about one of the country’s most widely prescribed groups of drugs. The federal safety agency said Tuesday it plans to require drug makers to add the diabetes-risk language to the “warnings and precautions” section of the labels on statin drugs. 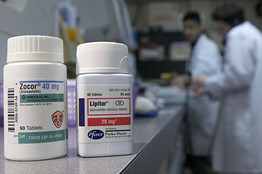 Statins include top-selling brand names such as Lipitor, Crestor, Zocor and a dozen or so other branded and generic versions under various names. The drugs are prescribed to more than 20 million Americans a year, at a cost of more than $14 billion in 2011, according to the research firm IMS Health. The warning isn’t expected to prompt doctors to stop prescribing statins for patients with multiple risk factors for heart attack. Cardiologists said for many patients, the benefits of statins still outweigh these risks. But some physicians cautioned that the risk wasn’t insignificant and that patients at lower risk for heart problems might want to reassess whether they should remain on statins. “The diabetes issue is a really big deal. 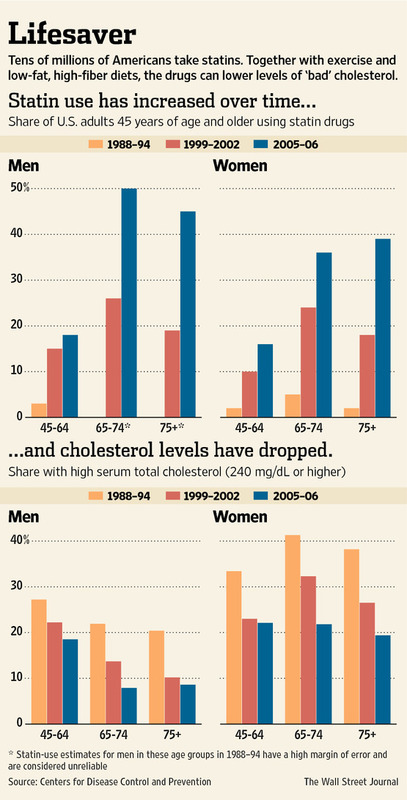 We’re overcooking the statin use,” said Eric J. Topol, a prominent cardiologist and chief academic officer of Scripps Health in LaJolla, Calif. In addition, the FDA said labels for statin drugs now will contain information about patients experiencing memory loss and confusion, though this side effect was classified as an “adverse reaction” rather than one of the warnings and precautions, a more serious category. Amy Egan, the FDA’s deputy director for safety of metabolic and endocrinological products, said “these cognitive changes can be quite dramatic” and “sustained” but that they disappear when statin therapy is stopped. Dr. Egan said the agency cannot identify a specific drug or age group of people who might be prone to such cases. She said patients should notify their doctors if these symptoms occur. 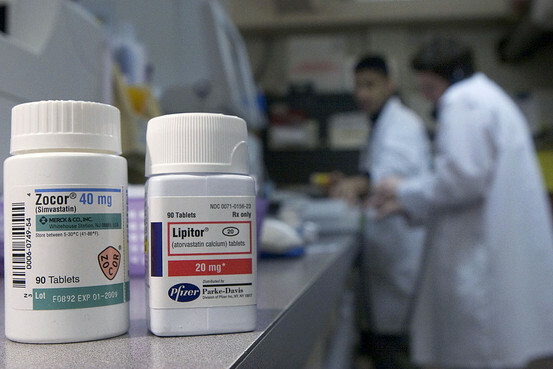 Cholesterol drugs Lipitor and Zocor are arranged on a counter of a Cambridge, Massachusetts pharmacy in 2006. The FDA made new labeling recommendations for one specific statin, Mevacor, generically called lovastatin. It said that some medicines like protease drugs used to treat AIDS and drugs for bacterial and fungal infections shouldn’t be taken with Mevacor because of interactions that may lead to muscle injury. AstraZeneca PLC, which makes Crestor, the only major statin still sold exclusively as a brand-name drug, said in a statement that “the cognitive issues are generally nonserious and reversible upon discontinuation” of a statin. It said reports about increased blood sugar were already included on Crestor labels. In addition to the pure statins, products that contain statins include Advicor, Simcor and Vytorin. Merck & Co., which makes Zocor and Vytorin, said information for those drugs was “updated” in October in a way that reflects the contents of the FDA’s Tuesday safety advisory. It revised labeling for Mevacor more recently. Cardiologists differed on how to weigh the findings, especially for the millions of people given the drugs for the prevention of a first heart attack or stroke. Steven E. Nissen, chairman of cardiovascular medicine at the Cleveland Clinic, said, “There is no question that statins slightly increase the risk of a diabetes diagnosis and of slightly higher blood sugar, but I think this has no impact on the risk-benefit assessment. I know I can lower the [relative] risk of death, stroke and heart attack by about 30%” in patients at high risk of such cardiovascular events. 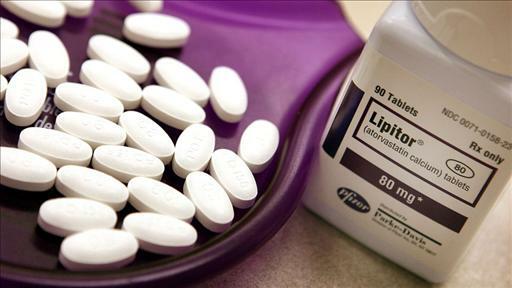 Dr. Topol said research suggests that for every 200 people who take a statin, 1 will develop diabetes. By comparison, 1 to 2 out of 100 patients at risk for a heart attack will avoid one, he said, adding, “That’s a very narrow margin of benefit,” he said. What Causes the Elevation of Cholesterol Levels In the Blood? After all, what causes the elevation of cholesterol levels in blood? 2) High carbohydrate diets or the acid sugar and cholesterol elevation (16, 17, 18).